Create a longer thicker look that almost every woman desires because more attractive eyelashes get noticed! 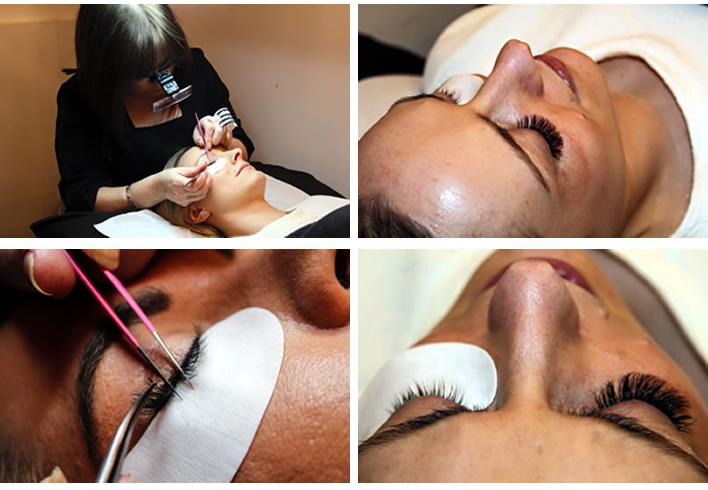 Eyelash extensions are worn by almost every female celebrity, and can be seen on top models and film stars in films, glossies and TV. They are so natural no-one would be able to guess who is wearing them and who is not!! The most impressive natural eyelash extension. Each lash is attached individually to your own eyelashes. They are durable enough to withstand showering, exercise, swimming etc. Lasts up to two months with regular top-ups. Amazing volume can be created with these lashes. These individual lashes are so fine and light that between 2 – 6 lashes are applied to one single lash of yours. The end result is beautifully fanned out lashes that have loads of volume.